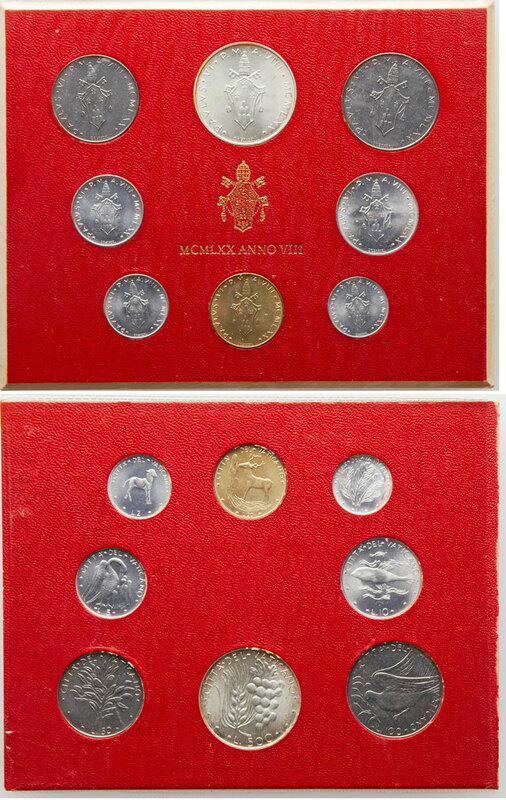 Vatican Mint Set collecting all 8 coins issued in 1970, in original folder, including the 500 Lire silver coin. Year VIII in the reign of Pope Paul VI. Designed by Tommaso Gismondi and engraved by Guerino Mattia Monassi.